What did the SEC propose? What exactly is a derivative? A derivative generally is a financial instrument that derives its value from another reference asset. Reference assets can include, among other things, stocks, bonds, currencies, interest rates, market indices or other assets. Some types of derivatives involve leverage, which magnifies the amount of gains or losses on an investment. Would the rule apply to all types of derivatives? No. The rule would apply only to derivatives that involve a continuing obligation of a fund to pay anything during the life of the instrument or at maturity or early termination, as would typically be the case with derivatives involving explicit leverage. The proposed rule would not affect the ability of a fund to invest in securities providing indirect or “economic” leverage that do not involve an ongoing potential obligation to pay money to a counterparty. Why did the SEC propose these rules? In a nutshell, the SEC is concerned that the growing use of derivatives by investment companies may involve degrees of leverage that create the potential for speculation and abuses that Congress wanted to prevent when it designed the Investment Company Act of 1940. Of course, prior to 1940, no one ever heard of derivatives. It should come as no surprise, then, that the ’40 Act, as amended, does not refer to derivatives or prohibit their use by funds. Rather, back then, leverage came in the form of capital structures that allowed funds to borrow money without limitation, either from banks or through issuing debt securities. So, to address the concerns about protecting investors from excessive leverage, Section 18 of the ’40 Act included a prohibition on investment companies from issuing “senior securities.” A senior security includes “any bond, debenture, note or similar obligation or instrument constituting a security and evidencing indebtedness,” but does not include borrowing from a bank. Nearly 40 years later, derivatives, as we know them today, had not yet been invented. But, funds were obtaining de facto leverage through certain investment techniques, including “reverse repurchase agreements,” firm commitment agreements and standby commitment agreements. In 1979, the SEC issued guidance for funds that use these investment techniques. The SEC said at the time that while these techniques may not be securities for purposes of the federal securities laws, they may be “evidence of indebtedness” that Section 18 was designed to prevent. Recognizing that these investment techniques may benefit investors, however, the SEC said that it would not consider funds in violation of Section 18 if the funds segregated liquid assets to “cover” potential obligations created by these would-be senior securities. The 1979 guidance, Release No. 10,666 (affectionately referred to as “Release Ten-Triple-Six”) contained no mention of derivatives. Alas, the ’40 Act and its rules could not keep up with changes in the market and the innovation of new investment techniques. So, in the years following 1979, the staff of the SEC published a string of “no-action” letters and other guidance that effectively extended the scope of Release Ten-Triple-Six to include modern-day derivatives. The SEC now believes that the resulting confusing mish-mash of staff interpretations went too far, and allows funds to obtain more leverage than Congress originally intended when it adopted the ’40 Act. On Dec. 11, 2015, the SEC proposed Rule 18f-4. While the proposed rule is only 11 double-spaced pages long, the proposing release included more than 400 pages and 864 footnotes of background, commentary and economic analysis, and is accompanied by a 97-page white paper authored by the SEC’s Division of Economic Risk Analysis (DERA). The SEC also proposed further amendments to two forms that require investment companies to report information about their portfolios and operations. Exposure-based portfolio limit. A fund’s “aggregate exposure” to a derivative instrument may not exceed 150% of the fund’s net assets immediately after entering into a derivative transaction or financial commitment transaction. The exposure-based limit is designed to impose an overall limit on the amount of exposure, and thus limit a fund’s potential leverage, through derivatives and other senior securities transactions, including borrowing and other indebtedness. Asset segregation requirement for derivatives transactions. Rule 18f-4 would require funds that enter into derivatives transactions to manage associated risks by maintaining an amount of “qualifying coverage assets” to allow the fund to cover obligations arising from those transactions. Funds would be required to segregate amounts, to be determined at least once a day, with a value equal to at least the sum of the fund’s aggregate mark-to-market coverage amounts and a “cushion” of risk-based coverage. Fund directors would be required to approve asset segregation policies and procedures. The requirement is designed to “address the undue speculation” concern reflected in the ’40 Act. Derivatives risk management program. Funds that use more than a limited amount of derivatives transactions would be required to establish a formalized derivatives risk management program and designate a derivatives risk manager approved by fund directors. Generally, this requirement would apply to funds that exceed a 50% threshold of notional derivatives exposure. Of course, the SEC notes, all funds that enter into derivatives transactions (even a single transaction) in reliance on the proposed rule would be required to manage risks. This program would be in addition to the requirements related to risk management that already apply to funds, including determination of risk-based coverage amounts and monitoring of compliance with portfolio limits. A fund would not need a formalized program if the board determines that the fund will comply and monitor compliance with a portfolio limitation under which the fund limits its aggregate exposure to derivatives transactions to no more than 50% of its net asset value and does not use any “complex derivatives” without regard to the 50% threshold. Reasonably segregate the functions associated with the program from the portfolio management of the fund. The derivatives risk management program would be administered by a designated derivatives risk manager, who may be an officer or employee of the fund or the fund’s investment adviser (but who may not be a portfolio manager). The SEC contemplates that the derivatives risk manager could also wear the hat of a chief compliance officer or chief risk manager. The rule also would limit a fund’s ability to enter into reverse repurchase agreements, short sale borrowing, or firm or standby commitment agreements, known as “financial commitment transactions.” Funds can enter into these types of arrangements provided that they segregate an amount equal to the fund’s aggregate financial commitment. How would Rule 18f-4 affect fund directors? Approval of portfolio limitation amounts. The rule would require fund directors, including a majority of the disinterested directors, to approve the particular portfolio limitation under which a fund would operate. That is, the board must determine whether the fund will comply with the 150% exposure-based limit or the alternative 300% risk-based portfolio limit. Derivatives risk management program. The adopting release flags derivatives use as an area of potential conflicts between investment managers and funds, requiring scrutiny by fund directors. Thus, the rule would require fund directors, including a majority of the disinterested directors, to approve the fund’s derivatives risk management program, any material changes to the program, and the designation of the fund’s derivatives risk manager. The proposing release includes a laundry list of specific factors that fund directors should consider when approving a derivatives risk management program. The SEC said fund directors could satisfy their obligations with respect to initial approval by reviewing summaries of the derivatives risk management program prepared by the derivatives risk manager, legal counsel, or other persons familiar with the program. The rule would require fund directors to review and update the program at least annually, including any models (such as VaR calculation models used by the fund during the period in question). Fund directors would be required to review at least quarterly, written reports prepared by the derivatives risk manager, to review the adequacy of the fund’s derivatives risk program and its effectiveness. Fund directors, including a majority of the disinterested directors, would be required to approve the derivatives risk manager. Unlike Rule 38a-1, however, Rule 18f-4 would not provide that the derivatives risk manager is removable only by the board, nor would the board need to approve the derivative risk manager’s compensation. What are the implications for fund directors? The SEC’s proposing release reminds directors that investments in derivatives are not for the faint of heart or for the uninitiated. “As the spectrum of risk increases, the overall supervision of risk management will become even more crucial to fulfilling a board’s obligations,” Aguilar said. This is not your father’s (or grandfather’s) mutual fund. Rather, this proposed definition underscores how the role of fund directors has quickly and dramatically evolved to require directors to grasp complex concepts before they can delegate responsibilities to investment advisers and derivatives risk managers. It may not be long before “vega notional” measures of volatility will join liquidity and fair valuation as dinner topics of conversation. In any event, the proposed rules on derivatives risk illustrate that fund directors will see their responsibilities grow over the coming months as the SEC continues down the path of increased prudential regulatory proposals. 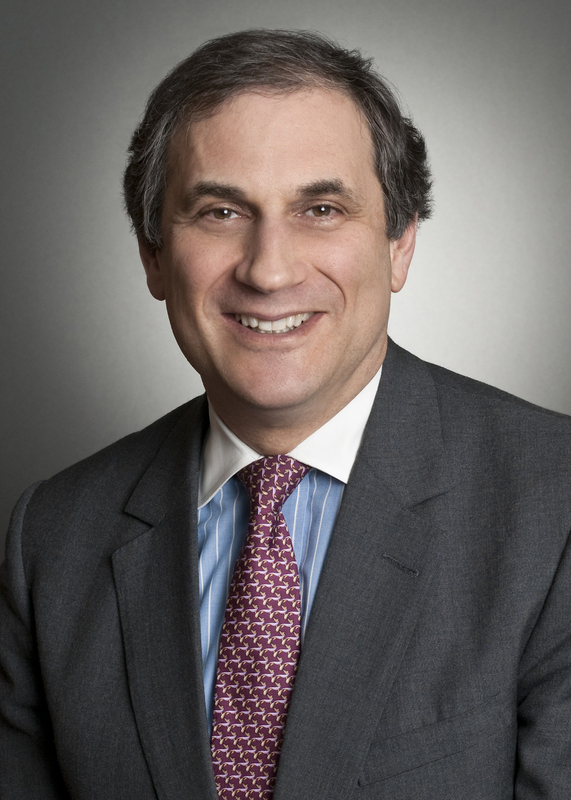 Jay G. Baris is chairman of the Investment Management Practice at Morrison & Foerster LLP in New York. He represents investment companies, investment advisers and other financial institutions and counsels independent directors on governance issues.